It may not be in the mainstream spotlight as much as it once was, but Punk is still going strong. Especially in Australia, where no matter your location, there’s not only a community, but a growing one. Searching around on Facebook, you’ll find groups sprouting up all around the nation, bringing together punk fans and musicians in your local area, and providing a great outlet to advertise shows and share new releases. This has been particularly handy for me, having recently moved back up to the Newcastle/Sydney region, and poking around for live music to see in the region. Plus, having been on a punk kick lately, I’ve quickly discovered the local scene, and have been having a blast seeking out both established and up and coming Punk bands coming out of the state of NSW. Here’s a few I found. Nerdlinger’s Happy Place came out in July last year, but it slipped my radar for a good six months. Actually, that’s a small lie – the band rolled into Canberra for their album launch tour. I know this because I saw their posters plastered over the Transit Bar a few weeks prior, but I didn’t make it. I missed out. Nerdlinger are a great band who’ve been around for quite a few years now, flying the flag around the nation for pure unfiltered Aussie punk. Happy Place is an instant classic for the genre. Can’t wait to see these guys live. Probably my favorite band right now, Hack The Mainframe was born from the demise of a few punk bands from the Newcastle/Central Coast area. Their first EP from 2016 quickly garnered them some buzz around punk media outlets, along with some support slots with the likes of 28 Days. Their first full length Disorders Of Consciousness followed in 2017, and is well worth a listen, drawing on the irreverence of Frenzal Rhomb for some fun sing-alongs as well as a few punk anthems with a message. I’m hoping to check out some more Sydney punk live as the year gets in a bit, but someone linked Madam Wong on The Aussie Punk Collective Facebook group I’m following (shout out to those legends), and I’m impressed. 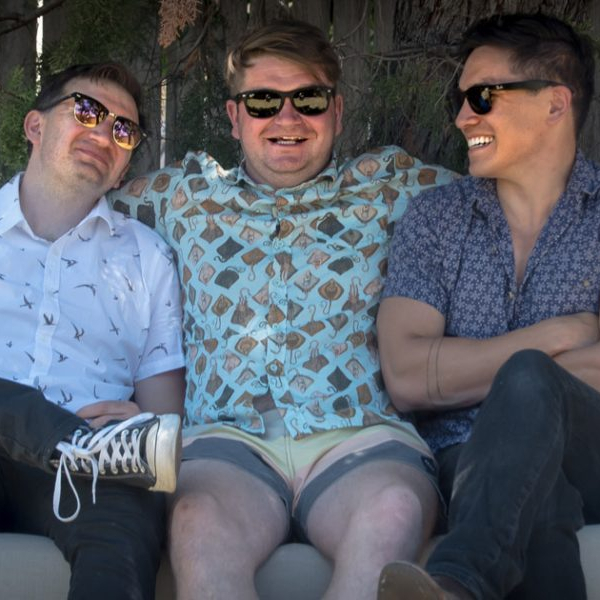 A band who don’t take things seriously, they released their first EP, …And The Sunlight’s Creepin’ In, early last year on Bandcamp, and are starting to ramp things up for 2019 with a support slot on the Sydney stop of the upcoming Zebrahead tour in April. Get in early if you’re going and show this band some love. Originating from the Hunter Valley are No Quarter, a five-piece outfit who have been going on and off since 2003 playing various shows around the region. Their recent full-length album is Freedom that has shades of 90’s punk, with that Aussie punk stamp that makes the local offerings of the genre so damn fun to listen to. While a bit dormant right now, it would be remiss of me not to mention one of Newcastle’s more well-known punk outfits. Local Resident Failure is known to some for its now-former drummer, Kye Smith, who people might recognize from his drum chronology series on YouTube. Their last offering was a split 7” EP with Perth outfit The Decline, maybe 2019 will see the band stir with some new material. There’s plenty more local punk I could give a nod to, not to mention the other scenes around the nation that are growing their own legends of the genre. And while its all very well to sus these things out on Bandcamp and social media, of course the best way to support the scene is to get out to a live venue, even if you’ve never heard of the lineup. Something I hope to do more of over this year. Long live punk and see you at a show! Think your neck of the woods has some quality punk? I may do another one of these for a few other areas if I get enough interest. Hit me up (@SimonValentine1) with yours or your favourite’s Bandcamp link.